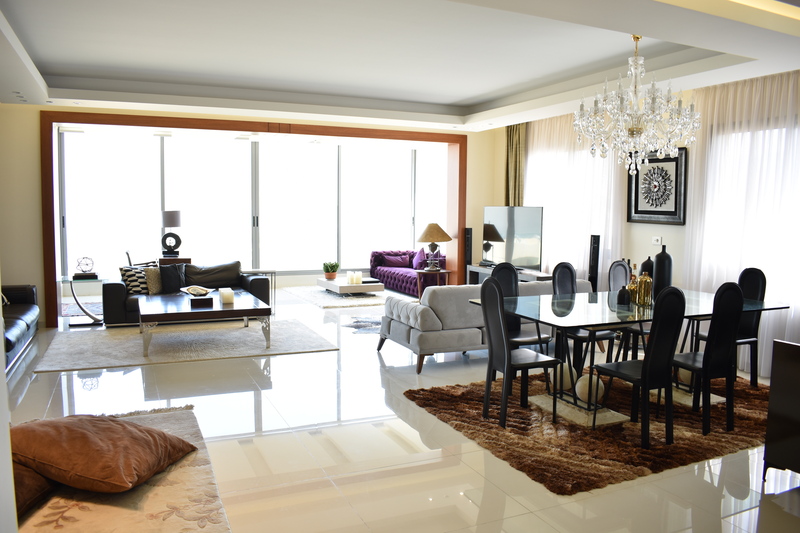 We’ve landed in Lebanon today for our virtual home tour feature! We’re showcasing the home of Chantal Jerdi, an architect turned interior designer with eclectic style. 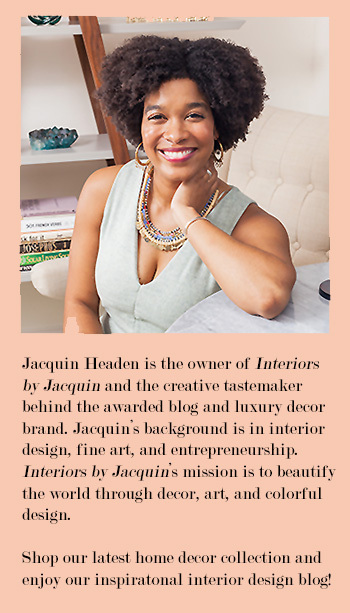 Jacquin: What inspired you to become an architect? What was the most unexpected part about your training? -or- What was the most unexpected part about actually working as an architect? Chantal: I was born and raised in a family of architects; my father is an architect and my mother is an interior designer. So I was immersed in the architectural field ever since I was a child, and decided to pursue it further by becoming an architect myself. After working in the architectural family business for several years, I found myself more and more drawn to interior design. I started taking on more interior design projects and a couple of years ago I decided to start working on my own as a full-time interior designer. 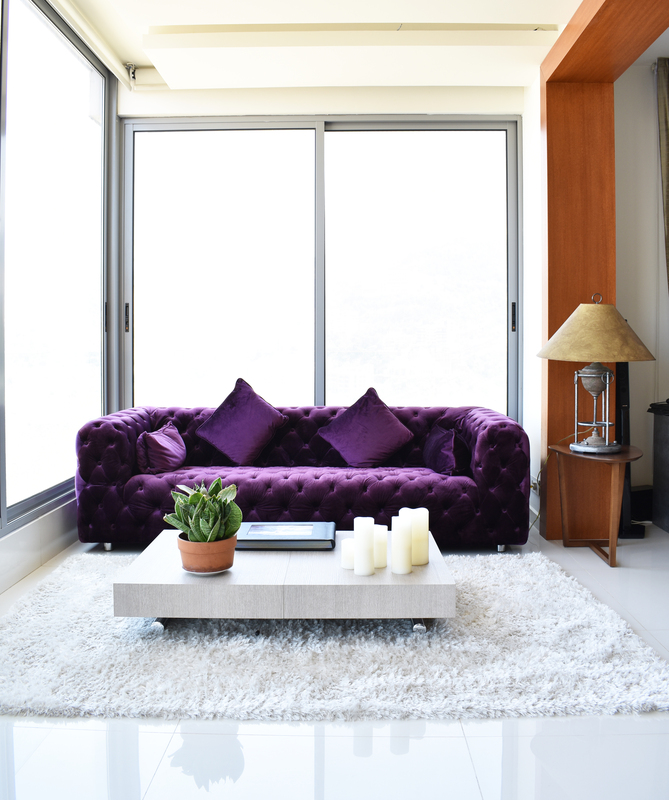 Jacquin: How would you describe the decor style of your home? What was most difficult about decorating your space? Chantal: My décor style at home and in my work is eclectic. It can be mixing between classic and more modern elements or mixing between different design movements, such as Scandinavian, bohemian and so forth. As an interior designer, I grew to appreciate many different decorating styles and wanted to incorporate them all in my home! I was in love with certain design elements of the industrial movement, the modern one and even the vintage one! 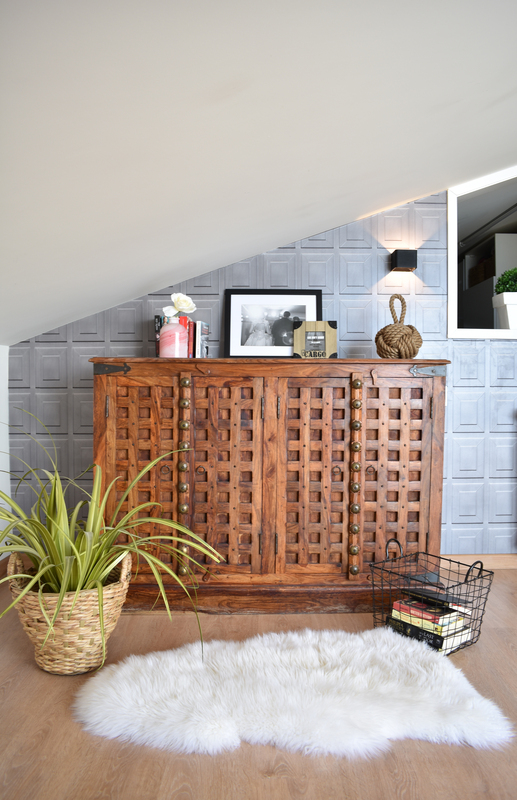 I believe incorporating vintage décor elements into a space makes it more personal and gives it a unique touch. 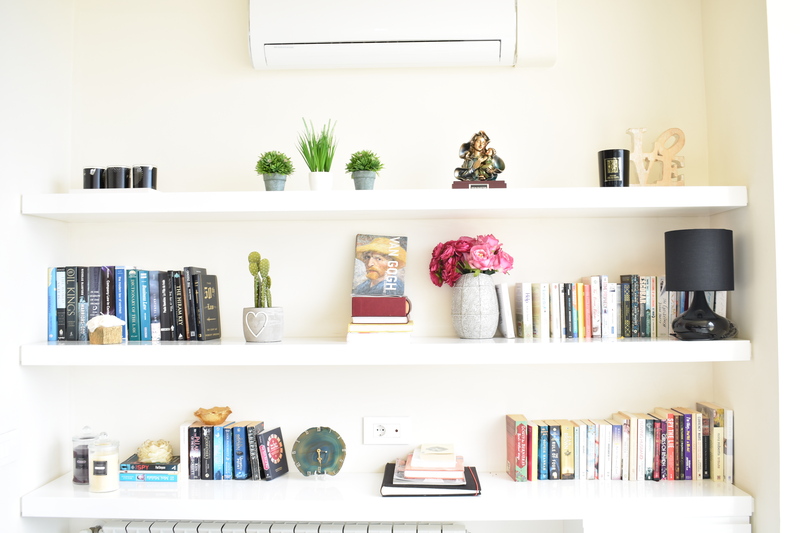 It makes it full of personality and more ‘homey’. 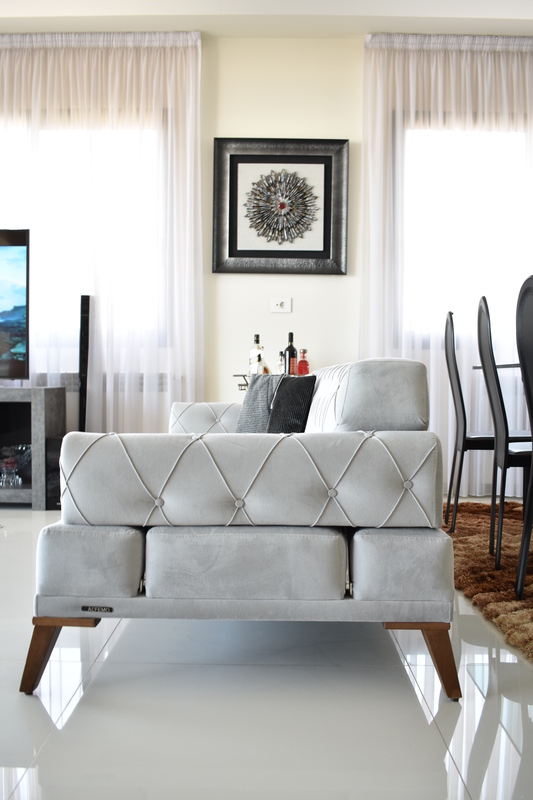 That was my biggest challenge: mixing all of the elements I love in order to create a harmonious home. Jacquin: Did you add any custom architectural features to the interior or exterior of your home? Chantal: My husband and I bought our home when it was still under construction. It is a two-story apartment, and at the time of our purchase there were no internal partitions or walls. It was left as is in order for the future home-owner to divide it according to their needs. It was a dream come true for me, as designing the space planning was also one of my requirements when searching for an apartment. When we first bought the apartment, I realized that we had an amazing unobstructed view on the sea from the entrance, and I designed my whole house in order to preserve that view and that connection to the outside. You can see the view from almost every room on the first floor; from the entrance as soon as you step inside to the big open space that includes the living and dining areas, as well as from the kitchen. I added a chimney on the first floor in the open space that creates the perfect cozy atmosphere on cold winter nights. 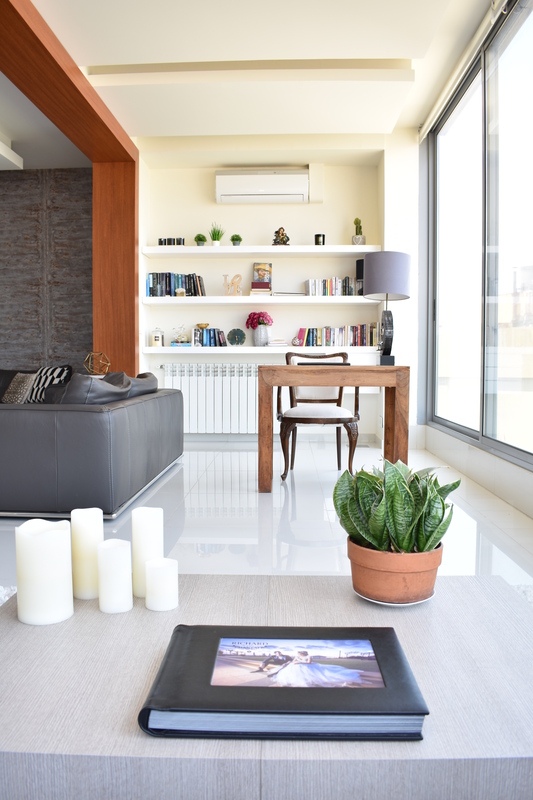 Every room is thought and designed in a functional yet aesthetic way that allows us to enjoy the big spaces we like. Our master bedroom is on the second floor and is also located on the main view of the house. It has a master bathroom and a custom-made walking-closet. 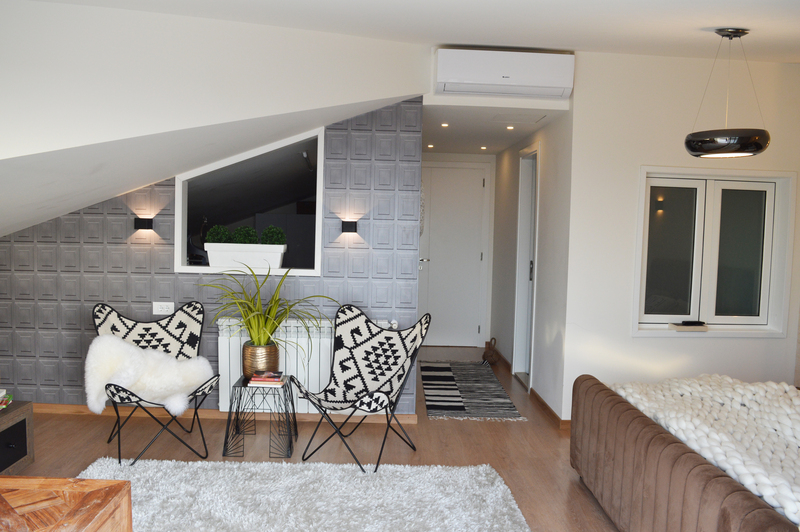 The rest of the second floor is also divided into bedrooms, and there is also a master bedroom on the first floor. 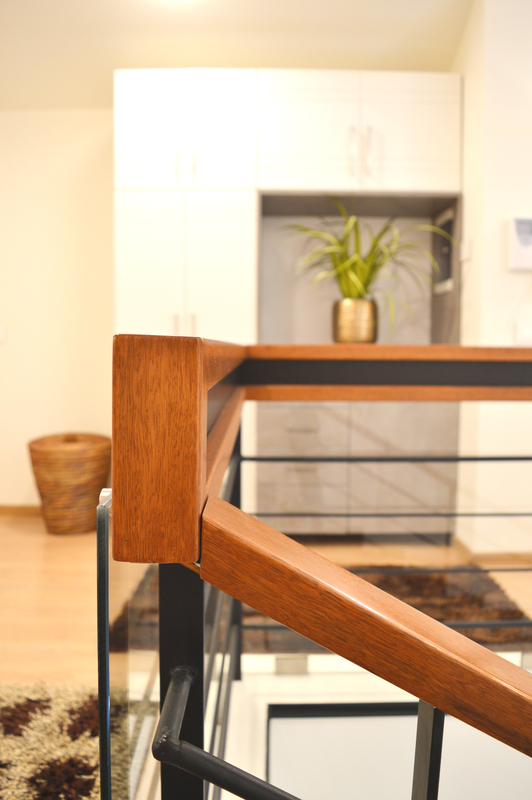 Our whole house is custom-made not only from an interior design point of view but also from an architectural point of view. Jacquin: Do you have any unique custom furniture or vintage pieces at home? Chantal: Yes! For our wedding a family friend offered us a gorgeous vintage handmade wooden cabinet, which I have placed in my bedroom. I remember falling in love with it when I first saw it! And a few months later, I became its lucky owner. Jacquin: Do you enjoy entertaining friends and family at home? Do you have a special recipe you like to make when you have guests visiting? Chantal: I enjoy having friends over a glass of wine and a good dinner, and gathering with the family on weekends for lunch. We especially like Lebanese food and one of my favorite recipes that I make for my guests is the fattoush salad. It’s light, healthy, delicious and very easy to do! Here is the perfect recipe from The Mediterranean Dish. I use the same ingredients, but tend to be looser with the dosage and this is why I prefer to share a more accurate recipe. I enjoy having friends over a glass of wine and a good dinner, and gathering with the family on weekends for lunch. We especially like Lebanese food and one of my favorite recipes that I make for my guests is the fattoush salad. It’s light, healthy, delicious and very easy to do! Jacquin: Where are you favorite places in Lebanon for unique home decor? 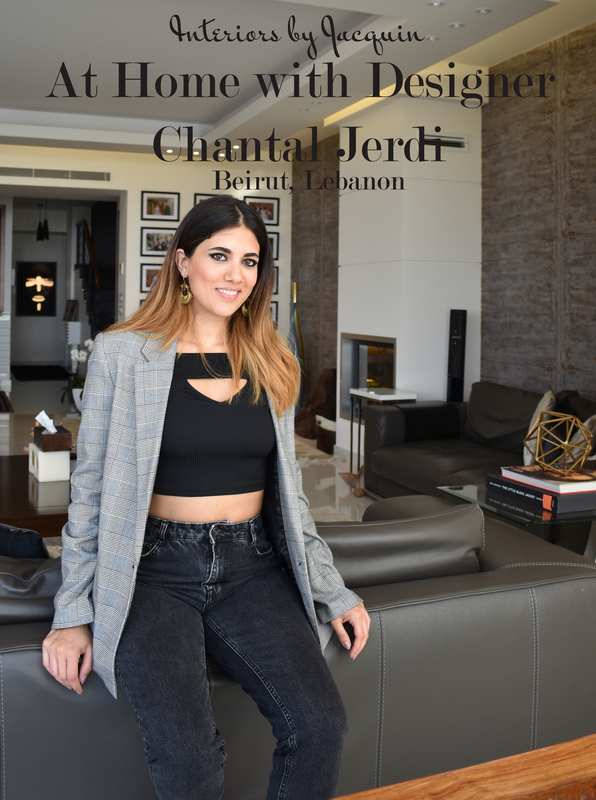 Chantal: There are so many nice furniture places for furniture shopping in Lebanon! I especially love BHV and West Elm for their home accessories and Farra store for furniture shopping. Jacquin: What’s next for your company? Any exciting plans for 2018 or 2019? Chantal: I am currently working on my website and my blog, where I will be sharing décor tips and tricks with my readers! This is the main plan for 2018, along with working of course on my interior design projects. I haven’t planned for 2019 yet and will do so according to what I was able to accomplish during this year. You can follow the work of Chantal Jerdi via her Pinterest profile or visit her website here.